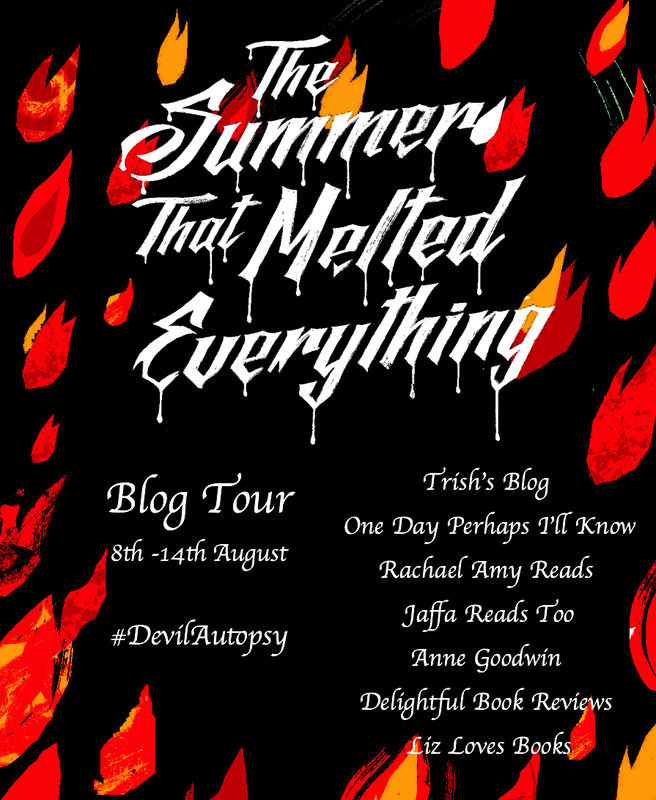 I'm delighed to welcome Tiffany McDaniel to my blog today as part of the #DevilAutopsy Blog Tour. 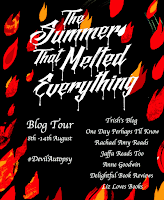 I recently reviewed her debut novel The Summer That Melted Everything. Tiffany, thank your for dropping by and congratulations on your wonderful book The Summer That Melted Everything. I was pleased to see it on the Guardian website Not The Booker Longlist as it's a title I intend to recommend. As a book blogger I am always fascinated to hear about who authors like to read, so I thought I'd make that the focus of your visit. 1. I'm of the Harry Potter generation. Do you have a childhood book or series which was very important to you when growing up? I would have loved to have been that age for Harry Potter. I know I would have been dressed up in a wizard cape and hat pointing my wand at the world. I was a kid of the 1990s so I grew up on R.L. Stine’s Goosebumps and Fear Street series. I’ve always been drawn to monsters, ghosts, and that special haunting mix of madness and magic, so having R.L. Stine’s series part of my childhood was really just the perfect partner for my coming of age. I still very much want to live on Fear Street. At the moment I am reading Shirley Jackson’s The Sundial. It’s about a family holed up in their house while the aunt tells them the world is ending. I love Shirley Jackson. The first novel I read of hers was We Have Always Lived in the Castle. She is indeed an author who is a master of her craft. 3. Is there a book you've read that may not be as well-known as it should be that you'd like to recommend? I read Thomas Berger for the first time a couple years ago. He was from my land of Ohio, and was a finalist for the Pulitzer Prize in the 1980s. His novel, Neighbors, was the first book of his I had read. It was the first book I think I laughed out loud reading. It’s not a comedy in a commercial sense, but in a literary. Later I would read Sneaky People and The Houseguest. I’m always surprised Berger doesn’t have more name recognition. He’s a great writer, a witty one, and his stories are certainly something that I think would appeal to a lot of folks if only more people knew of him. 4. Here's a tricky one, favourite book of all time? This is indeed a tricky one. There are so many books. The Remains of the Day by Kazuo Ishiguro, We Have Always Lived in the Castle by Shirley Jackson, The Secret History by Donna Tartt, To Kill a Mockingbird by Harper Lee, Above the River: The Collected Poems of James Wright. These are some of my favorites, but I’ve said I want to be buried with Ray Bradbury’s Dandelion Wine. I suppose if you want to be buried with a book it is indeed a book you love. It’s Bradbury, so the prose is beautiful. The story has that subtle melancholy that Bradbury does so well. I suppose infinity isn’t long enough to love this book. 5. Are there any stories you've read which influenced the writing of The Summer That Melted Everything? I read the literary heavyweights rather late and by then I had already had my first novel written. So I can’t say there’s any one particular story that has influenced The Summer that Melted Everything or my writing in general. I think it’s the collective layers of life itself. Every painting we see, every song we hear, every book we read adding layers to us that we shed in some magical way that gives its own sort of aura to the page. Thank you so much for joining me Tiffany!